Lynelle Marie Speelman, V’anaheo’o (Sage Brush Woman) was born October 10th, 1963 in Forsyth to the late Irvin and Nellie Speelman. Lynelle attended all her years of school at St. Labre, graduating as Valedictorian in 1981. While in school Lynelle participated in numerous school activities and clubs. After finishing high school Lynelle met the father of her children, the late Robbie Burns. Robbie and Lynelle married in 1982 and together had their three daughters Lisa Marie, Tiffany Marie and Shalane Anaeva. Robbie and Lynelle were then divorced. In later years Lynelle went on a blind date in 1996, with the late Wayne Tallbull. Wayne and Lynelle were together until Wayne’s passing in February 2014. Together they traveled and lived in numerous places including Utah, Iowa and Arizona before returning to their home in Ashland, MT in 2005. Where Lynelle lived until her passing on November 1st, 2018. Lynelle held numerous jobs throughout her lifetime, most of which included management. Lynelle’s most recent job where she started in 2005, was managing the Office Bar in Ashland, MT where she was employed until her passing. 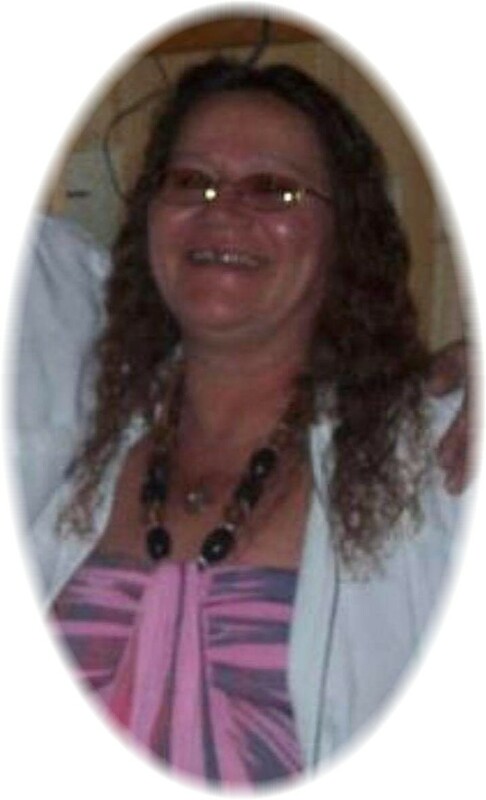 Lynelle enjoyed being outdoors, she liked to go camping and swimming at Tongue River, she especially loved to spend time with her grandkids, as well as going for rides out in the hills, and just spending time with her family and friends. Lynelle is survived by her daughter, Shalane Burns; sons, Jessie Taylor Tall Bull, Sage Augare, Wayne Tall Bull Jr.; special children, Cyrilla Dean and William Pryor, Jr.; mother, Nellie Speelman; grandchildren, Amralee, Aiyanna, Michael, Kaydence and Dominick; special nieces, Chandra and Alyssa Speelman; brothers, Michael (Kristi) Speelman, Robert Speelman Sr., Gilbert (Tracey) Speelman, Jeff Speelman, Bobby (Tauna) Albert, Brian (Edina) Redstar; brother in law, Wayne Weide; aunts, Amy Foote, Inez Foote, and all of Lynelle’s nieces, nephews and cousins from the Speelman, Foote, Burns and Harris families. Lynelle is proceeded in death by her father, Irvin Speelman; daughters, Lisa Burns, Tiffany Burns, Wyntr Augare; her husband, Wayne Tallbull; sister, Maya Weide; father of her children, Robbie Burns; uncle, Orville Speelman Sr., and nephew Tyson Flatness. We apologize if we left anyone out as our family is big. Sincere condolences to Lynelle’s family and friends. MY HEARTFELT CONDOLENCES TO THE SPEELMAN FAMILY….. I HAVE KNOWN THIS FAMILY FOR ALL MY LIFE..THEY ARE LIKE MY OWN FAMILY. GOD BLESS YOU ALL….HUGS TO YOU NELLIE… MAY LYNELLE REST IN PARADISE. LOVE YOU ALL!! THE NORTHERN CHEYENNE CHIEF COUNCIL EXTEND THEIR MOST SINCERE CONDOLENCES AND PRAYERS FOR STRENGTH DURING THIS MOST SAD, SORROWFUL AND MOURNFUL TIME FOR THE LOST OF A BELOVED LOVE ONE. Sending our deepest condolences to Nellie Spelman and family. Your family will be in our prayers and thoughts. We are so sorry for your loss. Prayers, condolences and hugs to her entire family. Our deepest condolences to the Speelman family. Lynelle will be greatly missed by all who knew her but she is in a better place now with all her loved ones who left before her. Rest in peace and God Bless! My sincerest condolences to all of Lynelle’s family. She was a great next door neighbor. The community will miss her. Shalane, be strong my fair lady. There are no other words I can think of to console ur heart. Thinking of you & yours at this time. Prayers. Love you. Xoxox Casey. So Sorry for your loss. Lynelle has always been the best cuz I have known. Rest in peace. Lynelle was one of first workers when I opened the Cheyenne Depot here in Lame Deer in 1988. She worked with Linda Hunt, the first manager and with Willie Sequi, Sr. She was an excellent employee and took her job seriously. She brought laughter to the Cheyenne Depot along with her brilliant smile. I will miss that smile. She will now share it with her girls in Heaven.